According to research by Neil Bhutta, an economist with the Board of Governors of the Federal Reserve System, the answer is no. In his paper, “Payday Loans and Consumer Financial Health” he set out to do an objective analysis of the payday lending industry. He wanted to find out if payday loans had a negative, positive, or no effect on consumers’ financial health. He examined individual credit record data and found “little to no effect of payday loans on credit scores, new delinquencies, or the likelihood of overdrawing credit lines.” In other words, the loans didn’t make credit scores worse, cause borrowers to get behind on other credit payments, or increase overdrafts from other bank or credit accounts. Bhutta is not the only one looking more closely at payday loans. More economist are taking on this topic to find out whether or not the criticism is valid – and if giving loans to those who can’t borrow from traditional banks due to credit or other issues really hurts, helps or has no effect on the borrower. Is Annualized Interest 10 Times More Than Credit Cards? Most of the criticism centers around the annualized interest rate charged on a payday loan. Critics cite annualized rates in the high hundreds or even thousands. Here’s how they do the math. 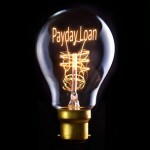 Payday lenders extend a loan and usually charge from $15 to $25 per $100 borrowed. So that’s a 15 to 20 percent interest rate. But to get an annualized rate you take the interest rate and multiply it over the course of one year. For example, if you pay 15 percent interest on a two-week loan, you would multiply 15 by 26, as there are 26 two-week periods in a year. So the annualized interest rate is 390 percent (15×26=390). The average credit card interest rate is around 13 percent yearly. Of course, that takes into account those with perfect credit. Most credit card users with bad credit pay at least 20 percent if they can even get approved. The payday loan annualized rate of 390 is nearly 10 times 20 and that is how the critics come up with the annualized interest rate. Here’s the problem with the comparison. Banks designed credit cards as a revolving loan, meaning consumers use them again and again over the course of a year or more so using an annualized rate makes sense. However, payday loans are not revolving loans. At least, that was not the original intent. Do some borrowers use them that way? Absolutely, but that doesn’t mean this type of loan should be withheld from consumers who use them wisely. Payday loans are supposed to be paid off according to the original terms. If they are, the borrower only pays 15 to 25 percent. This is still high, but better than many alternatives for those with bad credit. The bottom line is using an annualized interest rate is misleading when it comes to payday loans, particularly for those who do pay the loan back according to the original terms. It would be better to look at the total costs of the loan compared to overdraft fees, disconnect fees, future medical cost for not seeing a doctor immediately, or the cost of losing pay due to not having the money to fix your car. These financial emergencies are the reason many payday borrowers take out the loans. Unlike other low interest rate borrowers, they don’t have the option of a traditional bank loan or credit card with a low interest rate. If they could get a credit card, it would be a secured credit card, which is really the same as a cash card. The users have to deposit cash in the account beforehand and then draw from the cash account when they use the card. Many payday borrowers don’t have the extra cash to set that type of “credit” card up. I will dig deeper into Bhutto’s findings on payday loans and credit scores in the next blog post. But before I do that, I wanted to make sure we were comparing apples to apples. I will also look at how payday loan costs compare to the costs of disconnection fees, overdrafts fees and other more relevant alternatives to payday loans. Stay tuned.